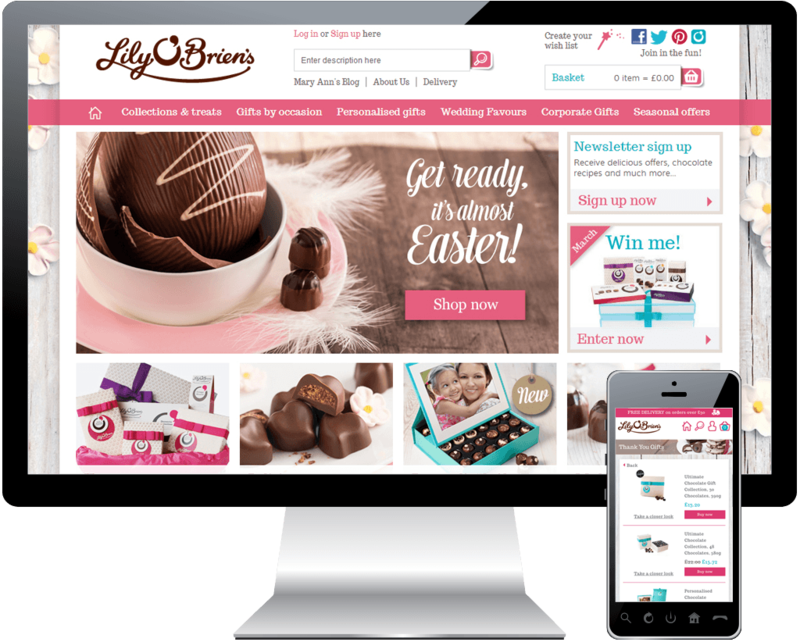 Lily O’Brien’s is a premium brand of chocolates founded by Mary Ann O’Brien in the mid-1990s. Since then Lily O’Brien’s chocolates has established itself as one of Ireland’s best-loved chocolatiers. Working in partnership with The Wonderland, who produced the new designs, we have re-vamped their E-Commerce website to be more seasonally focussed and provide a clearer customer journey through the online shopping process. We also work closely with Lily Obrien’s and The Wonderland to support routine updates to the website as well as produce microsites and Social Media marketing campaigns to support Lily O’Brien’s seasonal activity. “Fish Media are a dream to work with, they are insightful, innovative and since implementing their recommendations to our website sales have increased 140%”.